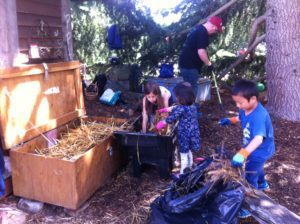 The Magnuson Children’s Garden Committee is a group of dedicated volunteers who have guided the garden’s creation and ongoing development since 2001. 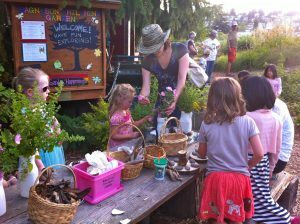 We work together to host free events for the public from spring to fall, such as Family Garden Classes, Family Garden Day nature exploration activities, and Family Nature Walks, we manage the garden maintenance through community stewardship events, and work together to plan enhancements to the garden that keep it a wonderful resource for the whole community. We meet a few times each year to make plans, talk over upcoming plans and projects informally during each of our monthly garden events, and exchange emails year-round. These leaders, plus all other committee members, take turns co-leading our monthly events and teaching our free classes. For a complete list of Children’s Garden Committee member bios, click on this link! We are now seeking committed and energetic volunteers to join us! 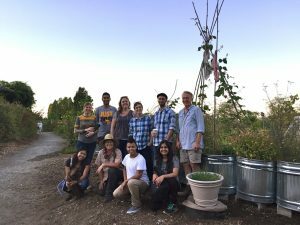 The Children’s Garden Committee promotes diversity, equity and inclusion, and considers all interested candidates. Experience in any of the following fields is particularly beneficial: Social Media, Children and Family Education, and/or Community Networking. For more information, send us an email at magnusonchildrensgarden@gmail.com. Thanks!